Gary Gibson was born in America, but four years ago he married his wife, Laddawan Siriwong, who was born in Thailand. The Westfield residents first met in Thailand and their shared dream has been to open an authentic Thai restaurant in the city. 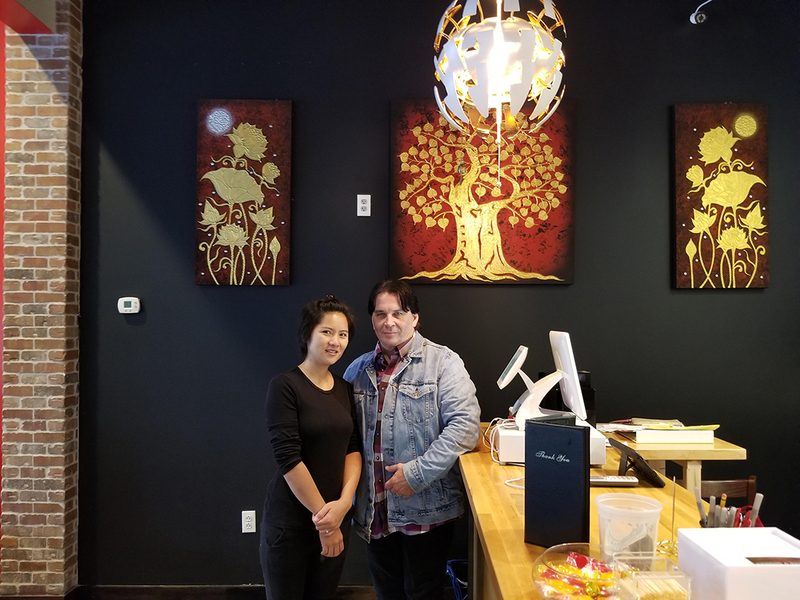 Last month, their dream came true when they opened Thai & Go at 2796 E. 146th St.
Gibson said the restaurant can seat up to 50 guests inside and 25 on the patio. He said food from Thai & Go also is available through Door Dash. Gibson said the cooks are from Thailand, so the food is truly authentic. Guests can choose from a 0 to 4 level of spice for their dish. The level referst to the amount of hot peppers added to the dish. Thai & Go offers lunch and dinner menus. Thai & Go’s hours are 11 a.m. to 3 p.m. and then 4:30 to 9:30 p.m. Monday through Thursday; 11 a.m. to 3 p.m. and 4:30 to 10 p.m. Friday; 11 a.m. to 10 p.m. Saturday; and 11:30 a.m. to 8:30 p.m. Sunday. For more, visit thaiandgo.net.